With summer just around the corner, it’s time to break out warm weather outfits and accessorize with this season’s bold gold baubles and bright jewel tones. Whether attending an afternoon clambake or simply spending the day at the beach, make any swim suit or cover-up pop with a splash of turquoise or a metallic statement piece from the Belargo Jewelry Hamptons, Tribeca or Gramercy collections. Break free from delicate studs with these dazzling accessories. Made with Sterling Silver, 24K Gold Vermeil and Cubic Zirconia, these lightweight earrings add a splash of color to brighten any summer outfit. 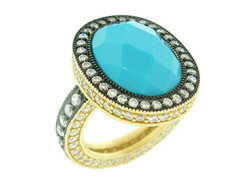 Add a touch of Southwestern luxe with this hand-set turquoise stunner. Made with a combination of Sterling Silver, 14K Gold Vermeil and Cubic Zirconia, this ring can polish any ensemble and transform looks easily from day to night. 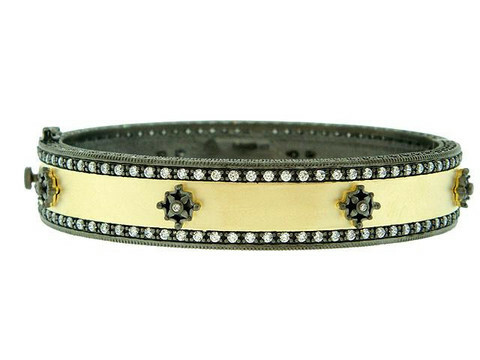 A chunky bangle with embellished details gives a modern and fun twist to classic looks. This Sterling Silver, 14K Gold Vermeil and Cubic Zirconia staple can be mixed with stackable bracelets or worn alone to jazz up jeans, a maxi dress or elegant evening attire. 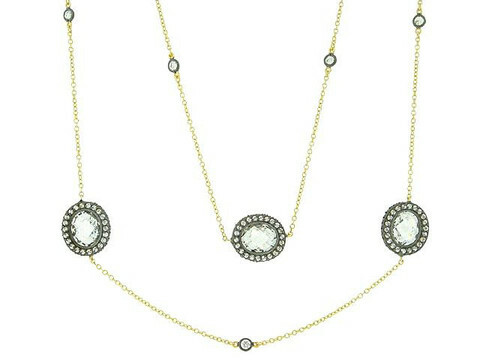 Combine chic and vintage looks with this classic and delicate layering necklace. This Sterling Silver, 14K Gold Vermeil and Cubic Zirconia piece can be worn as a single strand or doubled up to add dimension to causal or dressy looks. 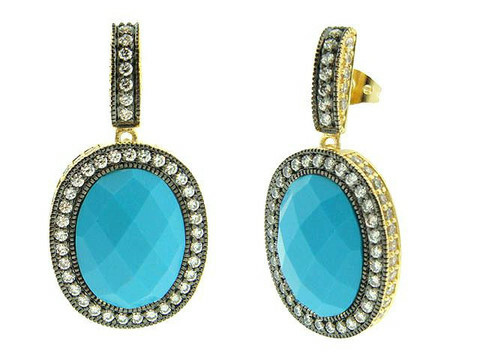 Say goodbye to studs and jazz up any look with these stylish earrings. 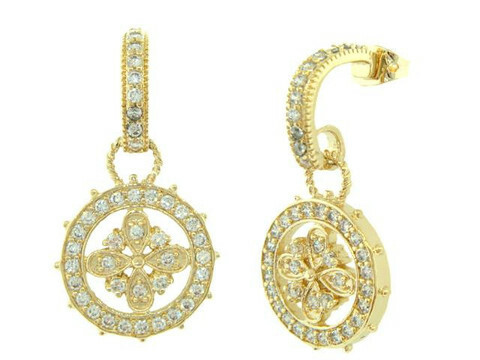 Made of Sterling Silver and 14K Gold Vermeil, these drops are beautifully detailed with Cubic Zirconia and are perfect to wear poolside or to evening cocktail parties. Accessorize any sun dress with a touch of simple elegance. 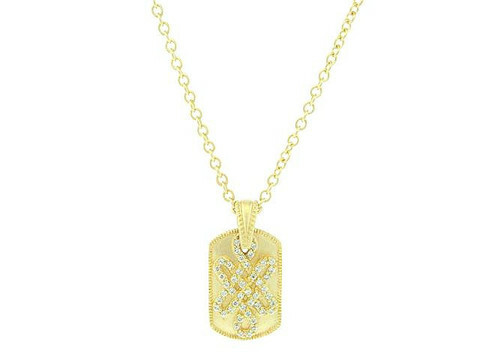 This hand-cut 14K Gold Vermeil and Cubic Zirconia necklace is an easy addition to basic looks and works with any color palette. This entry was posted in Fashion Accessories, Fashion Blog, Jewelry and tagged Belargo, Resort Jewelry Trends, Summer. Bookmark the permalink.